Last month, we announced our major new contract with Heyfordian Travel, Oxfordshire's premier passenger transport company, who operate a fleet of over 60 coaches moving large numbers of people from place to place in comfort and safety. Heyfordian Travel have enrolled all of their drivers on to OCFA's Emergency First Aid At Work For Drivers courses, which as Heyfordian Travel work with many schools and young people, also include a module on paediatric first aid. However, they have also agreed to open these courses to ALL DRIVERS from any company. "Heyfordian's highest priority has always been passenger safety," says Jeremy Smith, Heyfordian's Managing Director. "We are delighted to open these courses to ALL professional drivers as we want everyone to be safer regardless of whatever transport they choose. We would urge all transport companies to follow our lead and enrol their drivers on OCFA's Emergency First Aid At Work For Drivers courses." There is a new EU Directive that requires PCV and LGV drivers to complete the Driver Certificate of Professional Competence (CPC). From September 2013, PCV Drivers who are caught without proof of compliance risk on the spot fines and a potential investigation, which may result in the loss of their vocational licence. From September 2014, this directive will also apply to LGV Drivers. Book your professional drivers on our Emergency First Aid At Work For Drivers courses now. 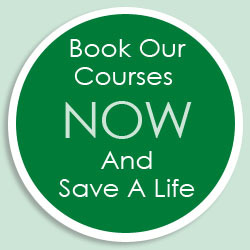 "Hi Jane, Thanks for the first aid at work course… I found it to be not only interesting but I even felt I learnt more! I was very impressed with the professional but fun approach and enjoyed myself thoroughly! I've recommended that the school uses you... thanks again for an informative day!" In our last two newsletters, we looked at the need to comply with HSE Guidelines and the drastic consequences of failing to comply. We also looked at how a failure to prove that you have sufficiently complied with the requisite health and safety practices could, in certain circumstances, invalidate your insurance, which could also prove catastrophic for your business! It's fair to say we have scared a few business people and we make no apologies for this as we are trying to draw your attention to the importance of this area. However, we are also trying to help you ensure that you are compliant in these areas so you can sleep a little easier. Therefore, we are offering a free Risk Assessment of all of your first aid health and safety procedures with regard to emergency situations for FIVE organisations during March 2014. One of our trusted consultants will visit your premises, free of charge, and conduct a full survey into this area. If we do make any recommendations, you are not committed to any particular course of action, although obviously there will be a good reason why we have highlighted any deficiency etc. We have also teamed up with a local insurance broker, who will also offer a free assessment of your insurance policies in this area. To request your free first aid Risk Assessment, email Jane Hoskin on info@ocfa.co.uk. In this month's Hints and Tips, we are encouraging everyone to store their emergency phone numbers on their mobile phones under the name ICE (In Case of Emergency). Emergency responders will look for the names of people to contact on the mobile phones of those involved in incidences. They will not spend time looking through Mum, Dad, Auntie or anyone else, so please put these contacts under the name ICE on your phone. N.B. Is your mobile phone "locked" by default? Many device manufacturers have now provided a mechanism to specify some text that will be displayed while the mobile is in the locked state so you may decide to put your ICE contacts onto this text area. Congratulations to Pearl Lewis from RBL Club in High Wycombe as she correctly answered that Jamie Oliver is the famous chef, who created the restaurant Fifteen to help disadvantaged young people. This month, we have a Burns First Aid Kit to give away, packed full with dressings and everything you need for the immediate treatment of burns - please do seek medical help for all but the most minor of burns. "Which traditional Scottish dish is usually served on Burns Night?" Email your answer and contact details to Jane at: info@ocfa.co.uk and we'll draw one winner from the correct answers on Friday 14th March 2014.